There are times when moving towards a Paleo diet is just so delicious that I don't miss any of the things I used to eat. Admittedly I fall off the wagon regularly, but I am always trying to pick myself up, dust myself off and start over again. Trying to improve each time. 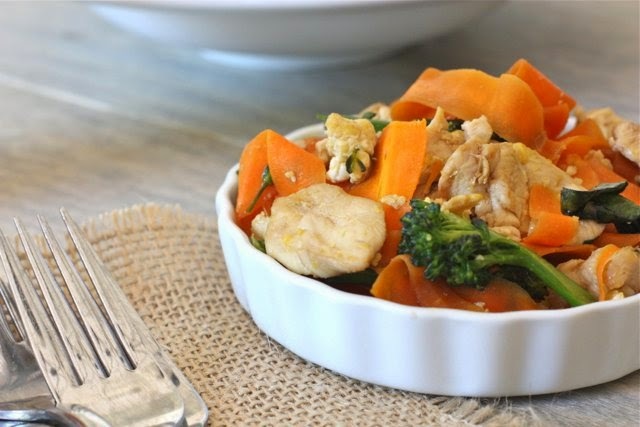 This Paleo Pad See Ew from Against All Grain is just gorgeous. It doesn't feel like you are substituting or altering your lifestyle in any way. I would happily eat this over chinese takeaway, which is saying a lot! Lay your peeled carrots flat on a cutting board and use a Y-peeler to create very thin but wide ribbons. A regular vegetable peeler will work too, a Y-peeler is just easier to use when the carrot is flat. Your basically just continue peeling the carrot after you’ve removed the outer dirty skin. I think that the transition to being a Stay At Home Mum has been the most difficult transition I have had to make. It was easier to move in with my boyfriend (now husband) and learn how to live with someone who I hadn't grown up with. It was easier to plan a wedding from a different continent. It was easier to move continents and set up a new life in the Middle East. I almost feel guilty writing that, because there are so many women who are forced back to work, because their family needs their financial support, who would much rather be at home with their kids. But it's the truth, and there's no point pretending that it's all been so easy and it's all rosy. Being a Stay At Home Mum is one of the most challenging and, at the same time, most monotonous job in the world. Firstly, there is no manual. Here is a child, now raise them. And raise them properly. I don't even know whether I am doing the right things. I read so many parenting blogs and books and Facebook threads on different aspects of parenting and I still don't know if I'm doing the right thing. Because the right thing is so different from family to family. 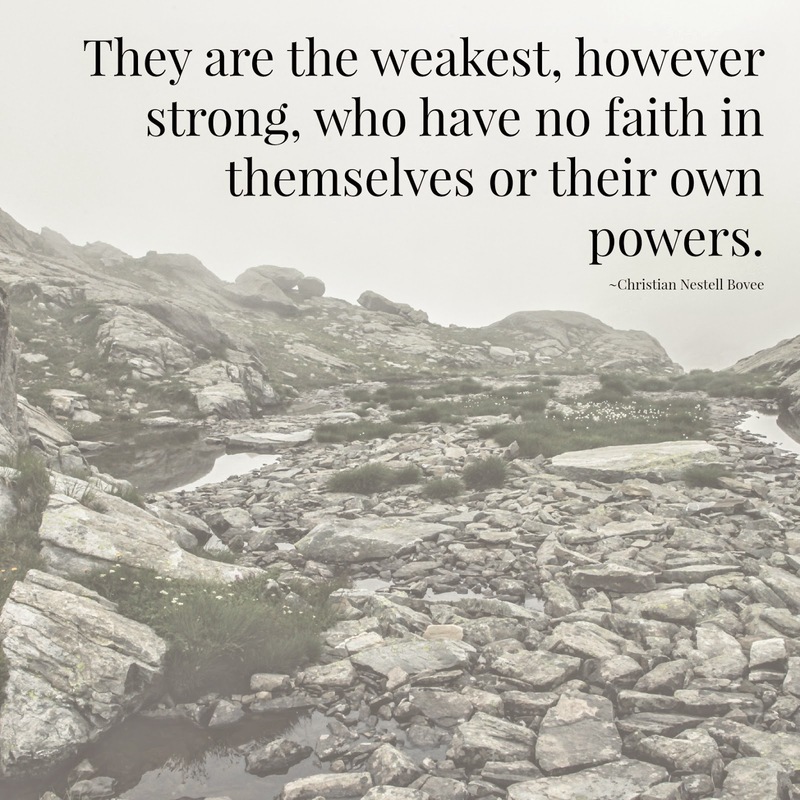 We all have different limits on what we will and will not allow our children to do. There are differing opinions on when to just ignore them, and when to step in. Even with other mums who have a similar parenting approach, there are still so many differences. And this is a marathon, not a sprint. My decisions today may come back to bite me in five day, five months or even five years. I can't see the future, and the web of decisions that we weave is so complex and multi-layered that taking advice isn't the easiest either. There are no certainties. Sometimes the responsibility feels like a crushing weight and I'm not really sure how to take my next step. The thing is though, those challenges seem small on a day to day basis. They don't seem interesting. They certainly don't seem challenging. The choices I make on every day, several times a day, seem small and boring in comparison with my old career. I was a lawyer and I loved the excitement of preparing a case for trial. I loved the responsibility of sifting through the layers of information and instructions and trying to see a path way, to see our case play out amongst the tiniest bits of paper. I loved the tension and electricity that came with a trial or hearing. Loved sitting on the edge and observing, hoping to spot an inaccuracy, something that would add weight to our case. It was complex and demanding and exhilarating and exhausting, and I thrived on it. I love deadlines and pressure and, if I'm being honest, the feel of being needed and important. Obviously my children need me. They need me to dress them, feed them, change their nappies, carry them around, wipe their noses, hold their hand when we need to cross a road. My children need me for so many things, they need me every minute of every day. But it just isn't that glamorous. I speak to friends who are still building the career I have left way behind, and I have no idea what they are talking about. The law has moved on, even in the three years that I have been absent from the workforce, and I am literally at sea with the changes. I don't want to become "one of those" mothers, who talk of nothing but their children, but it's hard. My children have become my world, almost every little bit of it, and it's hard to suddenly wipe out their existence when you are out with non mummy friends. I try. I try really hard. Usually I try not to talk much about myself at all, but listen to them, and talk about their lives. And it's really interesting. I love hearing about the worlds that they live in, because they are getting further and further from my own. It got to the point that when my son was about four months old, I was so frustrated that I told Gary I wanted to go back to work. I had already been out of work for almost two and a half years and I wanted to get back to it. But when we actually went over the logistics, it was impossible. As I regularly say to myself and probably to everyone around me, you cannot have it all. Whatever your choices, there are sacrifices on the other side. And, for me, personally, the answer was obvious. I wasn't prepared to give up my children for a full time job. Especially not for a full time job as a lawyer. 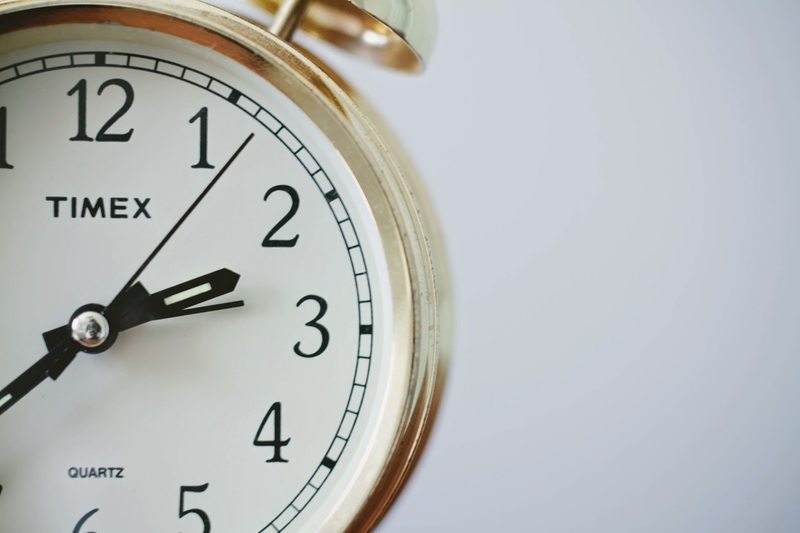 The hours are long, court cases mean 12-18 hour days, usually for the duration of the trial. To do it, I would have to literally hand over my children to someone else for almost all of their waking hours. I would not be raising my children, and I don't even have to go to work at all. Talk about looking a gift horse in the mouth. And it was that discussion, and my hours of pondering after it, that changed the way I see what I do. I'm making the right decisions for our family, and perhaps it's not the most exhilarating job on the planet, but it's the most precious to me. Those hours of pondering seemed to shift my perspective and my mindset. And it seems that was missing all along. I no longer feel resigned to my choice, I feel empowered by it. As if it truly is my choice, and not a lack of other options. I began to really look at my children. To see their smiles, their tears, and even the bags under their eyes. I found the wonder that had felt long lost to me. My kids can be chaos, and fussy and temperamental. But they can also be just amazing, even in their fussy periods. I look at my daughter and marvel at how she's grown in two short years. How her hair curls down her back and how she sometimes looks at me as if I've lost my marbles. How I know how to make her laugh, and how I love the sound she makes when she does. I look at my son and wonder where he got those long legs from. I can see his personality now, it's becoming more clear. His separation anxiety has kicked in, bang on six months, and I can finally work with him rather than just feel the frustration that I need to get things done. Don't get me wrong, I haven't turned into Mother Theresa, I can just see the good and the bad now. I know where my place is, where I want to be, and it's the acceptance of that choice that has made all the difference. I also gave myself permission to slip sometimes. There are days that are not filled with pinterest board activities. Days when the TV is on too much, or I don't have time to read the books my daughter brings me. I've cut myself some slack. I'm here, at home, doing the best I can for my kids, and that's ok. I can improve every day, and everyday will be better than the last, with some slips. It's a huge learning curve, and I learn things when I least expect it. I have also become more creative in myself. Which is why this blog exists at all. It's an outlet, a place that is just for me. A place that I can build on and discover and explore. 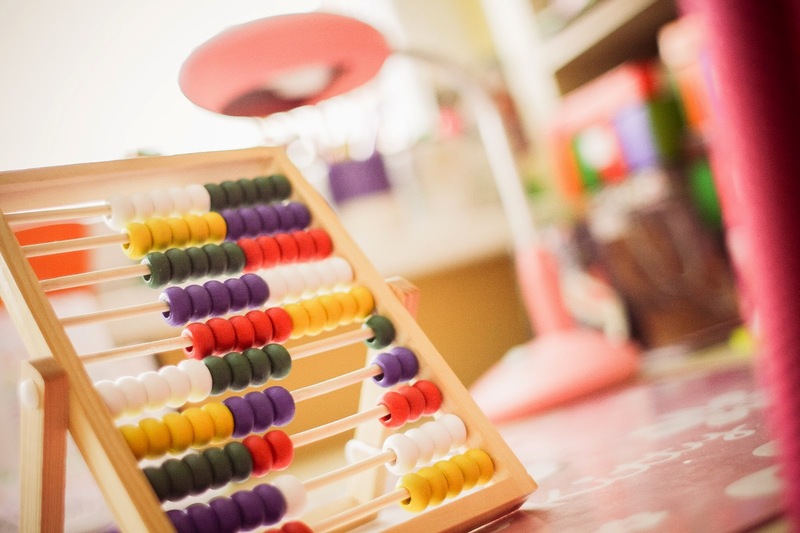 Something that is outside the world of day to day childcare, but inextricably linked to it. I think that is the most important thing. To find things that are just for you, so that you can be a better person in the parts that are not just you. I'm a work in progress, but at least I feel like I'm progressing in the right direction now. Have you struggled with staying at home, or struggled with going back to work? I'd love to hear how you reconciled those struggles. It doesn't matter how many kids you have, you forget so much. The first baby year goes by so slowly on the one hand, and so fast on the other, that it really is just a blur. So I had completely forgotten about the brick wall that I hit when my daughter was six months old. When it hit, when my son hit six months, I was completely floored. As a caveat, my daughter was a great sleeper (as babies go). She slept through the night from nine weeks old... Until she hit four months and then spent two months on all fours rocking in an attempt to crawl. Cue multiple wake ups a night, to turn her over and put her back to sleep. She went through all the usual sleeping upsets, teething and sickness and learning new things. So even though she was a great sleeper, we still spent a lot of her first year up and out of bed. When I look at it now, I don't actually think it was the lack of sleep that brought on the wall, it was me trying to do too much. Nothing resembles the sleep disturbance that comes with the first six - twelve weeks of having a newborn. The constant broken sleep, the inability to catch up, at any point, because the next feed rolls round and round and round. I thought I had it covered in the first two weeks, this wasn't so bad, I could cope... but like with all things, it is the build up that makes it so hard. By week six I was literally crying I was so exhausted, and my husband could barely see straight. So I think once you get past the first wave of horrendous sleep, and your baby stops waking every two to three hours (or every hour for the really unlucky), you start getting longer blocks of sleep. And it feels magical! There is nothing like looking at the clock, and then realising it's light outside! That you got a precious few more hours in bed than normal. You get a little giddy and high on that extra sleep, and your body welcomes the ability to function more like a normal human being. So you start contemplating things that you would not have considered before, like exercise, like leaving the house after dar, like blow drying your hair. Which is exactly what I did, both times. I went to exercise classes, or walked the marina, doing about 8km walking a day, with my sleeping baby tucked up in the pram. I went out and saw friends, we went on dates. We stayed up and watch Pointless on TV (which starts about 9pm here in Dubai) and even occasionally watched a film to the end. The problem is, we really need more than broken sleep to get us through, and I was eating into my precious sleep time with other activities. It just can't last, and it didn't. When the wall hit, I though I was sick. With my son, I'd just had the flu jab, so I blamed that at first. It lasted for weeks. As I already have an autoimmune disease which makes me tired, I had all my usual bloods tested. I am slightly low in my vitamin D, but nothing to make me this tired. So one day I went to bed at 8:30pm. My night wasn't completely uninterrupted, but I woke up feeling fresher than I have in ages. Not wide awake, but not quite so exhausted, and I didn't have a layer of cement from the sandman to remove from my eyes. It's really frustrating, to have to reassess your priorities, just when you thought you had them nailed. To have to programme in more sleep, when I am already going to bed about two hours earlier than people of my age who don't have children. But that's the point, they don't have children. They can laze about in bed on a Saturday morning, spend the entire day in bed if they like. They won't be woken at 5:30am, when it's still pitch dark outside and have to start the day singing nursery rhymes, which are far too cheery for 5:30am. I have to accept that having babies and toddlers means that sleep will continue to be precious and must be conserved. So I'm slowly re-jigging my priorities and moving sleep back up the list. I've decided to set my alarm for 9pm at night, and at that point I need to pack up and go to bed, immediately. No matter how appealing my new colour coded Pinterest board is, or how funny that picture of dancing cats might be. It's so easy to get distracted, but unless I am more disciplined with myself, I'm not going to be able to juggle all that I do. I won't be able to make the most of my priorities. I can still go to the gym, but I can't go to the gym and work on this blog, all in one night. I also can't work on the blog and then spend real quality time with Gary, there just aren't enough hours in the day. So I try to minimise the amount of things I do on one evening. So it's either Circuit Factory or it's The 21st Century Mama, not both. Sleep isn't that exciting to think of, but it's one of the most important things for me to function. How do you discipline yourself to make sure you get enough shut eye? I'm sure I'm not the only one who suffers from the occasional crisis of confidence? I have days when the gloom settles around me and I feel like I'm being a bad mother, a bad wife, a bad friend, and an all round useless person. It's usually when I've been working so hard on one thing or another that it's taken up all of my effort and energy, and then once I take a break, those fears and worries creep over me. It's also almost always when I've taken a risk. Done something new, or exposed my vulnerability. Honesty is definitely the best policy, but when you are honest about the things that are part of your make up, your fears, your beliefs, your hopes and dreams even, it leaves you open to be hurt. Especially when you open up a part of yourself to your family and friends, the people closest to you, that you love the most. And that's the most silly part of it all. The people that you love the most are usually the people that love you the most, and they love you, all of you. So learning more about you isn't going to make them love you less, and it might even make them love you more. Every time I push the "Publish" button on a post, my heart races. I have to swallow hard before I do it, and then tell myself not to be stupid. Writing has been the most incredible outlet for me. It has helped me find myself and to find peace with my decisions and my choices. It has helped me to see that being a Stay At Home Mum doesn't necessarily mean that I'm "just" a mum and nothing more. That I can do what is right for our family and have a part that is just for me too. It has also been the scariest thing I have ever done. I'm not a journalist, I have never been taught to write for an audience (except GCSE English, and I don't think that counts 14 years on!). Everything you see written here, it's just my thoughts, spilled out onto the page. I try not to censor my writing, try not to edit so that it is what I think people want to read, but what I really think. Because that's the kind of writing I love reading, writing that is honest and simple and reveals a part of the writer. I don't know if I'm a good writer, I don't know if what I write is even interesting to other people. It's interesting to me, or I wouldn't write it, but that's no guarantee of it being worth reading. I definitely do not conform to proper sentence structure, I'm certain that starting sentences with "And" or "But" are definitely not correct, but I don't care. It's how I talk, and so it's how I write. I really hope I remember my basic English though, the difference between which and witch, effect and affect, there and their. If I don't, please please please correct me! I always tell myself to snap out of it, to just push away the gloomy days and move on to something sunnier, but I can't do that. One way or the other, I have to work through it. It doesn't usually take long, I usually get a hug and a kiss from my daughter, a smile from my son, a text from my husband or my mum, that makes me see how loved I am, and that starts to push the gloom away. And once I've gotten emails or messages from the friends that are like sisters to me, or even messages from my brothers and sister, the world seems a much sunnier place again. I almost think that these gloomy days are necessary, that you need to have fears and worries when you are vulnerable, it reminds you of the risks you are taking, and hopefully, that those risks are worth it in the end. Even if those risks aren't obvious to those around you. I also need to learn to talk about it. I know that if I told my friends or family how I'm feeling, that they would do everything possible to remind me how loved I am, but sometimes, admitting how you feel is much harder than actually feeling it. I'd like to go back to my old habits of eating an entire tub of Ben and Jerry's Ice Cream and watching Disney movies, but I'm trying not to eat sugar and gluten, and Ben and Jerry's Cookie Dough or Chocolate Fudge Brownie has those in spades! So I'm trying the longer route of working through how I feel and trying to bring myself back into balance. How do you deal with the gloomy days? I'd love to hear some more coping strategies that I can add into my gloomy days. Ok, so when I got my hands on the tiny amber bottles, I was utterly overwhelmed. There was so much information out there on what these oils could be used for and there seemed to be so many different ways to use them, dilute them, the list goes on and on and on. In the end I had to break it down into easy to digest segments so that I didn't just put them in a box and ignore them for fear of doing something wrong. So I thought that you might find it useful to see how I break it down, in case anyone else is just as overwhelmed as I was! Diffusing the oils into the air or simply inhaling them directly from the bottle is an amazing way to absorb some of the benefits of essential oils. This works to support your body in a variety of ways. First of all, our sense of smell is incredibly powerful. It influences the body both psychologically and physiologically. Our sense of smell has an intense effect on our emotions, so when you smell a perfume that was the one your grandmother used to wear, or even the smell of someone's fabric softener can take you back to a specific time and place and evoke all of the emotions that you felt at that time. 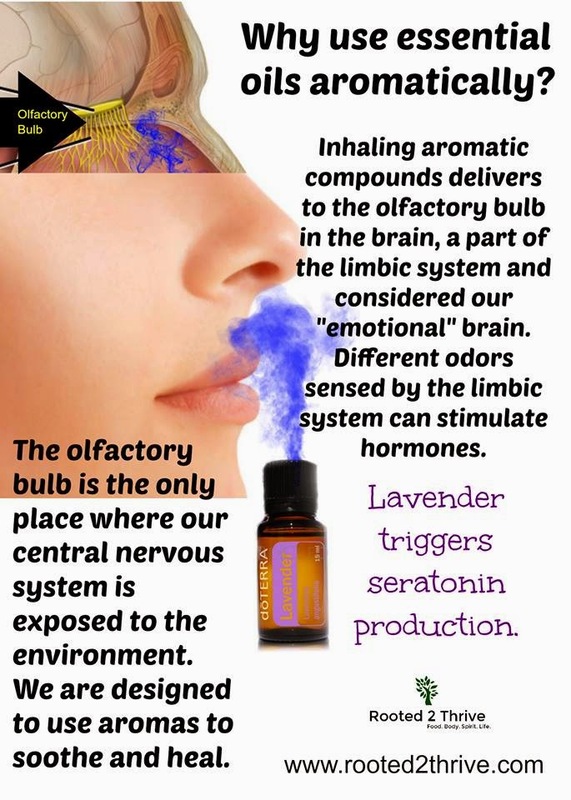 When you inhale an essential oil, it is delivered to the olfactory bulb in our limbic system (it's situated at the bottom of the brain, near to your nasal passages). The olfactory bulb begins the body's interpretation of what you can smell, and based on what it detects and interprets it can stimulate your body's hormones. That is why certain essential oils, such as Lavender or Vetiver can cause a calming sensation, and oils like Peppermint and Wild Orange can be stimulating to the body. Also, when you diffuse some essential oils, such as Melaleuca (Tea Tree Oil), they can purify the air of unwanted odours and some unwanted viruses and bacteria. So essential oils can be so much more than just a great smell. Another way to use essential oils is to apply them topically to your skin. Because of the way that the molecules in essential oils are connected to each other, they are readily absorbed into the skin and then into the bloodstream. Applying essential oils topically can have great effect on both the area the essential oils are applied to and on the rest of the body as they enter the bloodstream. There are so many way to use essential oils topically, and if I were to try to go through them all (I'm not sure I even know them all) we'd be here until next Christmas! So I'll just talk about the ways that I use them. First of all, I use doTERRA essential oils, which are pure and do not have any fillers or synthetic ingredients added to them. This makes them incredibly potent. A little bit goes so far, so don't be tempted to over do it. Less is definitely more. You can always increase the amount you are using, but you can't take it away again. 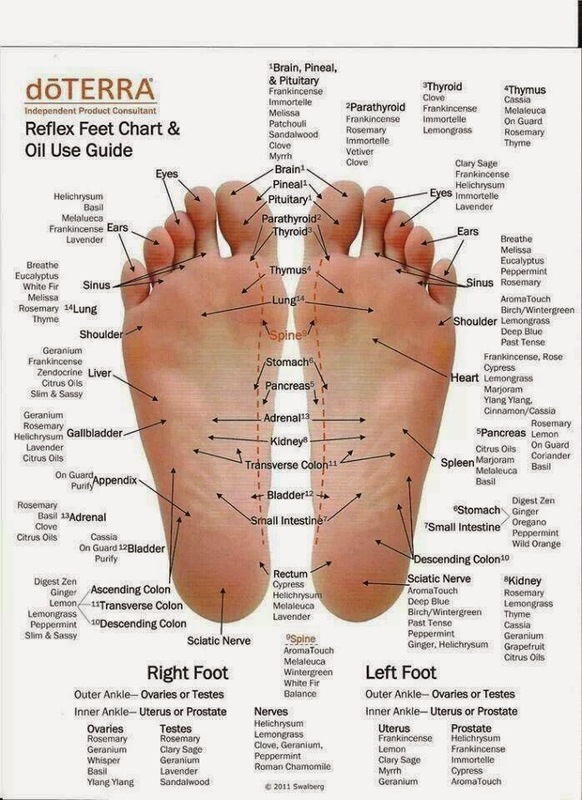 Personally, I only ever apply doTERRA essential oils neat on the bottoms of my feet. I have really sensitive skin and eczema to boot, and I do find that I need to dilute the essential oils so that they don't react with my skin if I apply them anywhere else. I once used Peppermint neat over the bridge of my nose when I got a cold, and it was like rubbing vapour rub in my eyes! Not to be repeated, I made sure I diluted it the next time. Using a carrier oil to dilute the oils also aids the absorption of the oils into my skin. I usually use fractionated coconut oil (fractionated coconut oil doesn't solidify when cold like regular coconut oil) but you can use regular coconut oil, olive oil, apricot kernel oil, castor oil etc instead. For me, I use a 5% dilution. I usually use a 10ml roller bottle for my blends/dilutions. So I will use no more than 14 drops of essential oils in a 10ml roller bottle. That's 14 drops in total, not 14 drops of each oil if I use more than one oil in a bottle. For my kids, who are two years old and six months, I currently use the same dilution of 0.3% on both of them. I may need to increase that for my two year old, but I like to use the same rollerball bottle for both of them, so it's easier to just have the lower dilution. So in a 10ml roller bottle I just add one drop of essential oil into the bottle and fill it with fractionated coconut oil. If I need to use more than one oil in a blend, I mix it separately with more fractionated coconut oil and then split the mix between two or more rollerball bottles. I also try to use the oils on my kids feet as much as possible. That's so they don't rub the oils and then rub the oils into their eyes. As an aside, if you ever do get essential oils into your eyes, do not use water to try to rinse them out. Oil and water naturally separate, so it will do nothing but drive the oils further into your eye. Use another oil, like coconut oil or olive oil to remove the essential oils. The most important thing I have to say here is that I only use doTERRA essential oils if I am using them internally. Most essential oils have fillers or synthetic oils added to them, so they are not pure and should not be ingested. 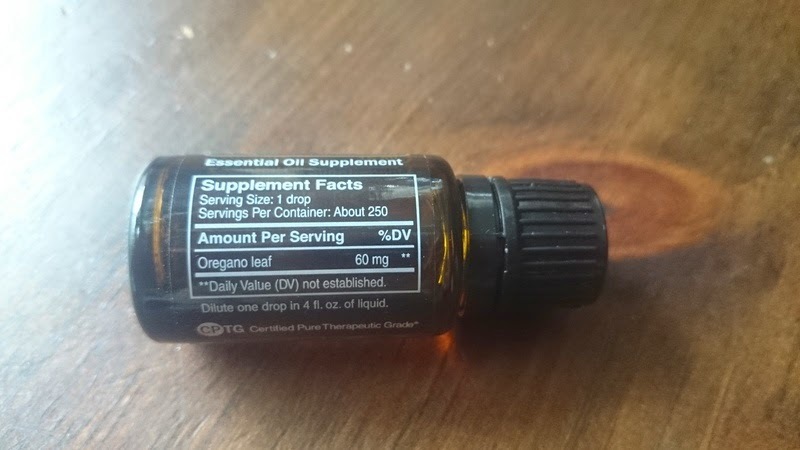 So if your bottle of essential oil does not contain dietary supplemental facts on them, then they are definitely not for internal use. 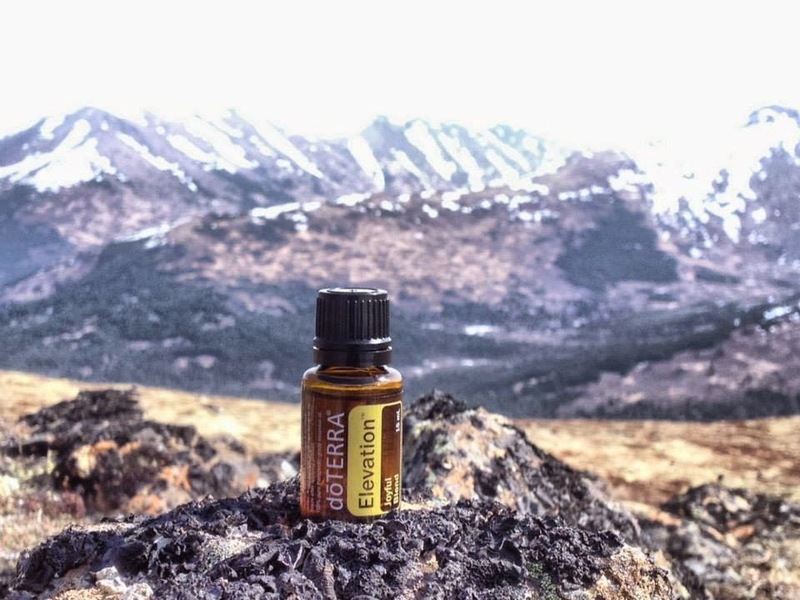 Not all of doTERRA's oils can be used internally, Wintergreen for example, so please check the labels of the individual bottles before you use them internally. So if you are going to use them internally, make sure you are using the right oils, both the right brand and the right individual oil. 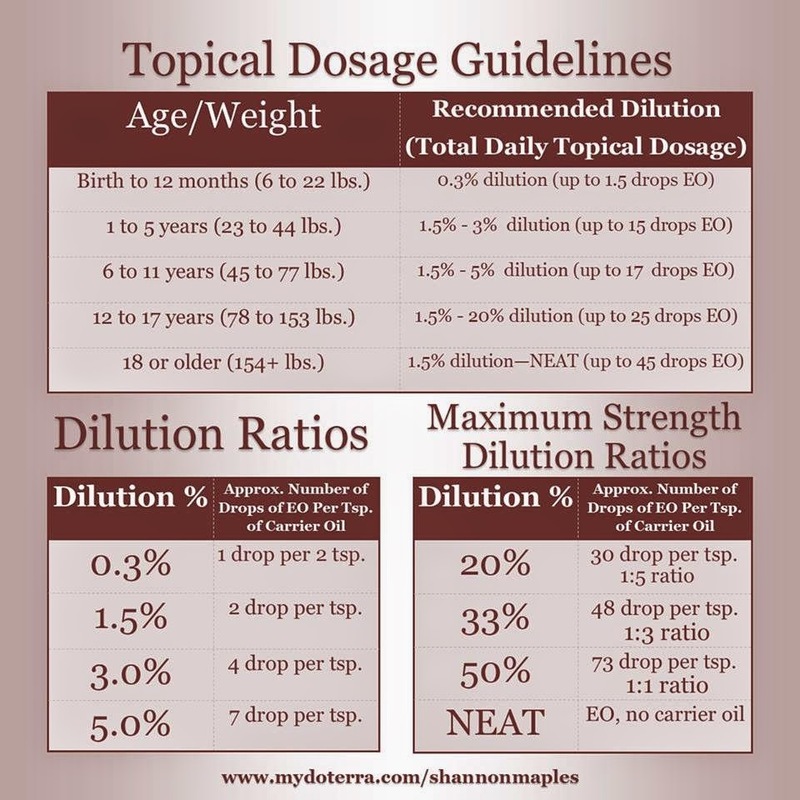 Babies and children should not take essential oils internally, and pregnant women should consult their doctor first. My favourite way to use doTERRA essential oils internally has been using Peppermint for headaches. 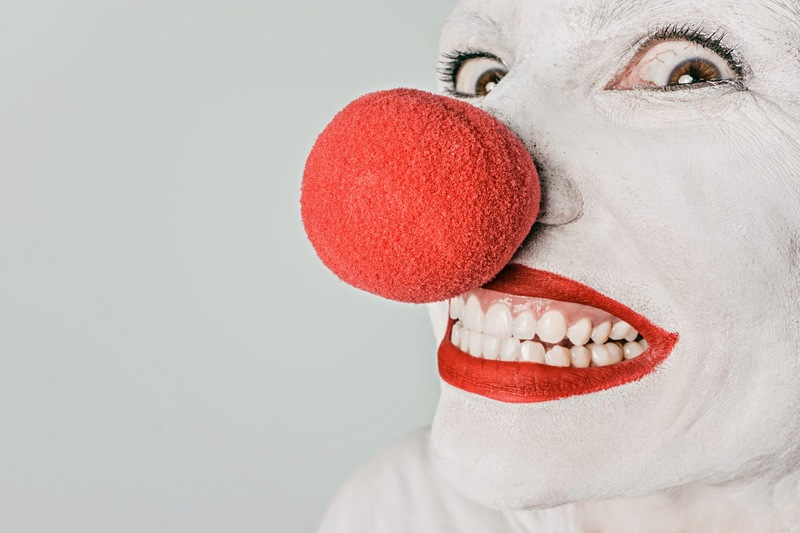 I apply a drop to the roof of my mouth and I find that my headache starts to ebb away within about 5-10 minutes. I much prefer doing that to rubbing the oils over my temple, especially if I already have make up on for the day! So I hope that this post helps you through some of the basics of how you can use essential oils. If it leaves you more muddled, please let me know and i'll try to do some better explaining! The Road to Fitness is longer and bumpier than I expected! So, just when I thought I was getting fit, just when I thought I could actually survive a Circuit Factory class, I got bronchitis. The day I got bronchitis, I actually went to a Circuit Factory class. I thought I was being a wimp and I just had a cold coming, and that I was just trying to come up with excuses to not go to a session which I knew was going to be tough. I got to the class, and I did the 1 mile warm up. And for the first time in forever (you know you are a parent if you can name the film), I didn't finish it. I kept pushing it, and pushing it and pushing it, but I just couldn't do it. I did about half and had to stop, which is a real pain because you then have to walk back the other half that you can't run. I was shaking and I felt like I'd run a marathon in the baking Dubai summer heat. I got back inside, and I must have looked pretty damn awful because Pitbull (one of the instructors, who thoroughly deserves the nickname) took one look and me and sent me home. That never happens, so I was obviously a bit more sick than I had thought. Then it just got worse, and worse, and worse. It took me about three days to get to the doctor, and I spent those three days in bed. Completely in bed. Left Gary with the kids and just passed out in bed. A quick exam and chest x-ray later and I had some serious antibiotics to take and a doctor who thought it was hilarious that I had been running a mile in 40 degrees at about 80% humidity, and said it was no wonder I was sick. Apparently when you start to expand your lung capacity through exercise, you leave space for the bugs to get in, and I guess there are a lot of bugs breeding in hot, sticky, humid air. I was the prime target, and they had no trouble finding me. So a minimum of two weeks downtime, which then turned into six weeks of downtime because I then developed tendonitis in my foot. Note to anyone about to do exercise, buy proper trainers first, I used a pair of sketcher trainers which were definitely not for actual exercise! I actually didn't give much thought about how hard it would be to go back to my training after six weeks off. I did literally nothing for those six weeks while I gave my lungs and my foot time to heal. I'm so glad I didn't think much about it, because that first Circuit Factory class was horrible. Not horrible because it was so hard and I got my arse kicked, but horrible because I thought I was going to die, or at least pass out. My legs shook, my arms shook, my vision swam, I had spots in front of my eyes. I couldn't do anything. I was so bad that every single one of the eleven or so trainers had to come over and check I was ok, because I was sitting on the floor trying to breathe. I had to crawl out of that class (halfway through) and sit in my car for at least half an hour before I could actually drive the car. It was a thousand times worse than my very first class, and I was shell shocked that I could be that unfit after six weeks out. Even worse, the dizziness and shaking and weakness continued, class, after class, after class. It was so disheartening to see all my fitness completely wiped out, fitness I was only just starting to acquire, and just starting to see the benefits of. I even considered not going back to The Circuit Factory at all, and admitting defeat. But I didn't. I spent a lot of time sitting on the floor and leaving early. A lot of time feeling like it was never going to get better and that I had done some kind of lasting damage. I think I went twice a week for a month before I felt even slightly better. I added 40 seconds to my 11:08 minute mile warm up, I lost the ability to do a plank or do a squat hold. Eventually my lungs must have caught up with the rest of my body. I made a few diet changes to make sure I was eating enough carbohydrates to get me through a class and one session, the dizziness didn't turn up. Every muscle in my body hurt, I was so hot I thought I was going to combust, but I was not dizzy. I ran a mile in 11:13 and did at least three quarters of the class. That was such an improvement on the last eight sessions, that I felt so excited that my body was finally coming back into balance. That I seemed to have regained the basic building blocks that I needed to continue to work on my fitness. It has been a longer road, especially mentally, than I was expecting. Having bronchitis had a much bigger effect on my body that I could ever have imagined. It would have been so much easier to just give up and walk away, and so many times I really considered it (usually after a class when I wanted to cry with frustration). I feel today like I am just stepping back towards fitness, I know that it is a long road, and even longer now I've had some setbacks, but I can get there. I can put those building blocks together to get myself healthy and fit, not just for me, but for my family and my friends. I know I'm a better person when my energy is productively channelled, and Circuit Factory has been a great outlet for me to just work on me. So for anyone who might be reading this, who is finding it difficult to "get back on the horse", don't worry, we are right there with you, and you got this. We have the highest building in the world.... and one of the highest rates of obesity in the world too..... It's time for a change! If you do just one thing today... click this link and watch the video! The Circuit Factory have just released their new awareness campaign (note I said awareness campaign and not advertising campaign). The Circuit Factory have a message, and it's a rather important one. 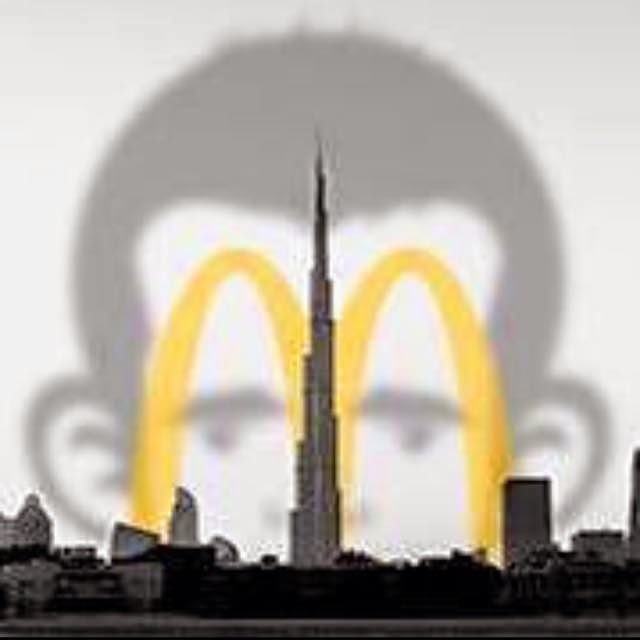 The food industry, and their huge advertising budgets, have been blanketing Dubai in more and more advertising for fast food, and we are now reaping the benefits.... one of the highest obesity and diabetes rates in the world. 4. Take a screen shot of your new timeline and send it to info@circuitfactory.ae with your preferred location. There are now 5 locations: Meadows, Springs, Downtown, Motorcity and Mirdiff - so there's plenty of choice for everyone! "We are proud to launch our new campaign: Sun City. In the past, our campaigns have sought to bring attention to CF, with the goal of getting people in to exercise. This campaign is different, in that the goal is to get people talking. There’s a very important conversation that’s not being had here, and we are going to use the Circuit Factory as a vehicle from which to start the discussion. Dubai is building the most awe-inspiring structures – there’s a real possibility of creating a city of the future, and yet our health, is among the worst in the world. We just heard that 40% of Abu Dhabi’s children are overweight or obese. This year, McDonalds opened up 15 new restaurants here. It’s becoming increasingly hard for people to be healthy, when natural, whole foods occupy less and less space on the supermarket shelf. Dubai cannot have the bright future it’s working so hard to achieve, if the people that live here are sick. There are glimmers of hope around the world. Attitudes are beginning to change. Legislation, like soda taxes and junk food bans are increasingly common, and it’s time for Dubai to get involved. Our responsibility is to help people be healthy. We need to give people real exercise, and they need to eat real food. The first part is relatively simple, but the second part has become almost impossible, because of the environment of food that exists all around us. So much of the work that we do is rendered useless because of our food. If Circuit Factory is to make a significant contribution, we need a level playing field. The environment of food will change. One voice only travels so far — So please help us to spread the message, and help Dubai take the first step towards a better future." The video is amazing, and a real eye opener, you might really learn something that shocks you, and makes you think a lot more about how our food industry works today. I was shocked, and I'm no newcomer to information like this. 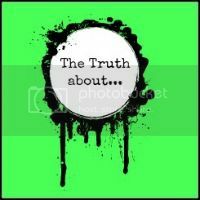 The Circuit Factory have been educating it's own members on the pitfalls of the food industry for some time now, and now it's time to make that knowledge public. So watch it, share it, and come and take up your free sessions. You might not only make a difference to you and your lifestyle, but to many, many others around you. Social media is a powerful thing, it has the ability to do such amazing things. Like raise money for The Teenage Cancer Trust. Stephen Sutton's Just Giving Page currently stands at a whopping £4.5 million, through the power of social media. The "No Make Up Selfie" raised over £8 million for Cancer Research UK, IN SIX DAYS, because it went viral. $100 million was made for ALS by "The Ice Bucket Challenge". We can do absolutely anything, if we set our minds to it, and to me, this is a worthy cause indeed. Learn about how our diet and lifestyles are being shaped by the food industry, and what we can do about it. Not just for us, but for our children and our children's children. Our children, my kids, are part of the first generation to have a LOWER life expectancy than their parents. Why? Heart disease, stroke, COPD. Diabetes now kills as many people a year as HIV. In essence, our obesity is literally killing us. The majority of the top five fatal diseases are linked to obesity. We are eating ourselves to death, and the habits we are passing onto our children is only going to kill them faster.